Next year, Hawaii will celebrate 100 years of theatrical film production in the islands, honoring the legacy that has provided the foundation for Hawaii’s film, television and digital media industry today. From Thomas Edison’s first motion pictures filmed in Honolulu and Lahaina in 1898, to Universal’s first theatrical features Shark God and Hawaiian Love in 1913, the lure of the islands has continued to bring a steady stream of filmmakers to “Hollywood’s Tropical Backlot,” including such iconic classics as South Pacific, Blue Hawaii and From Here to Eternity. 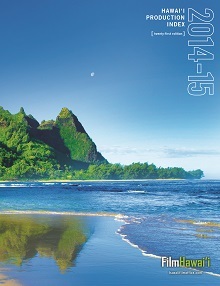 With the advent of television in the 1950s, Hawaii quickly became the preferred destination for more than 26 major network series, including the original Hawaii Five-O, Fantasy Island, Magnum, P.I., Tour of Duty, Jake and the Fatman, Raven, Birds of Paradise, Baywatch Hawaii, North Shore, Hawaii, Flight 29 Down, LOST, Off the Map, Hawaii Five-0, and The River. Today Hawaii is much more than just the most beautiful and accessible tropical location in the world for film and television production. 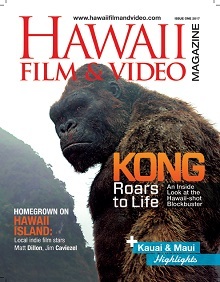 Our islands of Oahu, Hawaii, Kauai, Maui, Molokai and Lanai boast competitive tax incentives, a seasoned, expanded crew base on multiple islands, a seven-acre State of Hawaii film studio campus, production services companies, world-class recording studios, and emerging digital, audio and post-production companies to serve the industry. With the advent of new platforms of distribution and the decentralization of creative content development, Hawaii is fast becoming a hub for emerging media development. Perfectly situated between Asia and the U.S., Hawaii is on course to become a key player in the new media development landscape. Companies like Blue Water MultiMedia, 1001 Stories, Prox13, Hyperspective Studios, 1013 Integrated, and Hawaii Animation Studios—as well as Hawaii’s creative content developers in multi-player online and mobile gaming—are an important component of Hawaii’s digital landscape. The man that brought Tetris to the world, Henk Rogers, is a prime example of Hawaii’s capacity in creative technology. Rogers is widely respected as a visionary game designer and entrepreneur, best known for revolutionizing the video game industry by bringing Tetris to the United States and world market, 125 million games sold and growing. This game developer and environmental crusader chose Hawaii as the base for his host of digital companies: Tetris Online, Blue Lava Technologies and Avatar Reality, a next-generation virtual world platform that offers revolutionary levels of interactivity, fidelity and scale. And Hawaii was the perfect place to launch his Blue Planet Foundation, whose mission is to end the use of carbon-based fuel in the world, starting right here at home. Hyperspective Studios CEO Todd Robertson has built a stellar reputation for developing 2D and 3D animation, video, visual effects, motion graphics and interactive products for his clients. Launched in 1996, the company, housed at Manoa Innovation Center on Oahu, has employed the latest technology to produce media solutions for a wide variety of industries. Digital media, 2D and 3D animation, interactive design, computer graphics and interactive technologies programs at University of Hawaii, Chaminade, and Hawaii Pacific University are ensuring that in the years to come, Hawaii will have a powerful, knowledgeable workforce to produce digital content. Hawaii boasts many state-of-the-art recording studios. Add to this spectrum of digital technology the legendary sound recording studios statewide. Many Grammy Award-winning artists like Kanye West, George Benson, Kenny Loggins and others choose Hawaii as the place to record their albums. State-of-the-art studios like Avex, Audio Resources and Lahaina Sound are tucked away in breathtaking locations perfectly suited to nurture the creative spirit. The legacy continues in our islands, and more industry professionals are learning that Hawaii is so much more than stunning scenery. Our islands are fast becoming a new creative hub for talent here and around the world. To learn more, visit www.creative-hawaii.com.